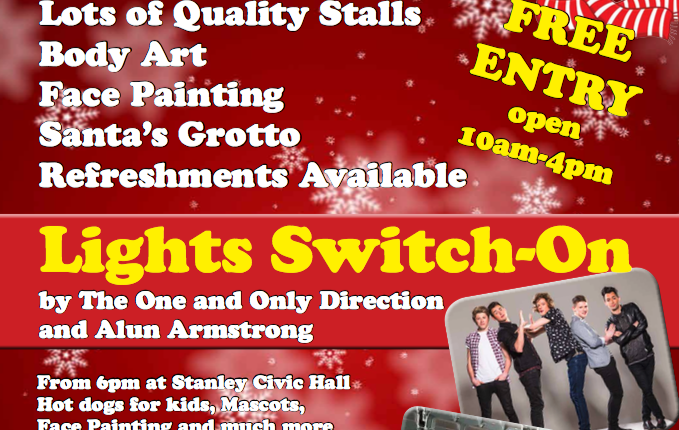 What is Stanley Fringe? It’s difficult to neatly categorise it. They have published no list of objectives. They have no charitable aims. The group is a loose collective of artists in the broadest sense from this area. It isn’t a historical society, but one of the only clear goals of the group is to remember the anniversary of the Burns pit disaster. It isn’t a political group but their work reflects the politics of the early Labour movement, Their event on 16th February is called ‘Remembrance, Rebellion and Revolt’. Without having yet attended the event I get the feeling that the Stanley Fringe will be settling scores on behalf of the men who died in 1909. 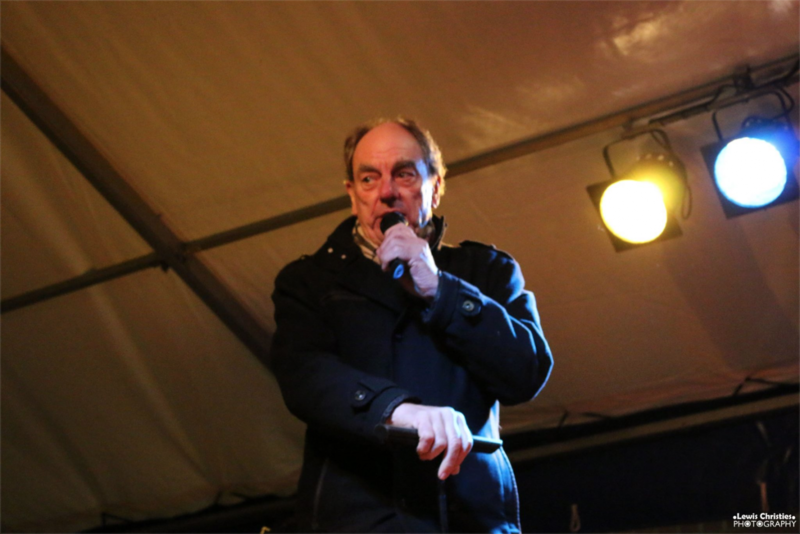 Their first event last summer was branded as an ‘alternative afternoon of music and poetry’ but the music and poetry presented was steeped in the traditions of the north east. There is a certain nostalgia for old Stanley about the group but it isn’t sentimentality. Rather, their work speaks about the continued warmth and optimism of the people of this town despite all the injustices that they have endured. Pit disasters, wars, the end of the coal industry and the pedestrianisation of the Front Street. The Stanley Fringe and Stanley Town Council will be leading the remembrance for the men of the West Stanley Disaster at the memorial by North Durham Academy at 3.45 on 16th February, the 107th Anniversary of the event. At 7pm come along to the Beamish Mary, join the group for a pint, song and poetry and settle some scores with the pit owners who sent those men down unsafe pits. From this April it will be compulsory for dogs to be fitted with a microchip. 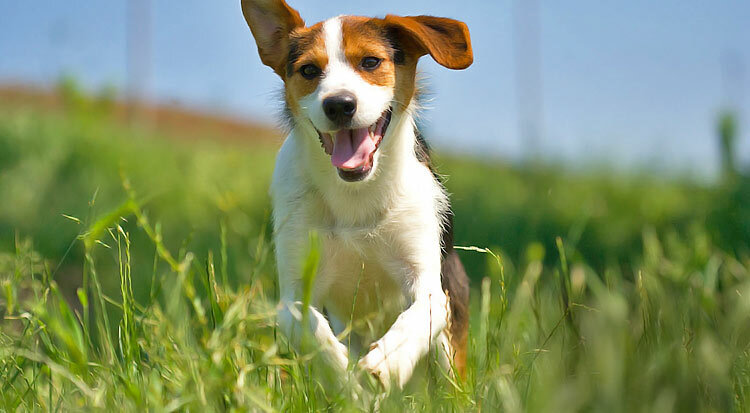 The change in the law is intended to deal with an increasing number of stray dogs. The chips are coded with the owners’ details and dog owners who do not get their dogs chipped could be fined. It will also be a requirement to update the database with any changes to the owner’s details, ike a change of address. If you’re thinking of buying a puppy, make sure that the breeder has had it microchipped. If your dog has not yet been chipped, please contact your vet who will be able to help you. 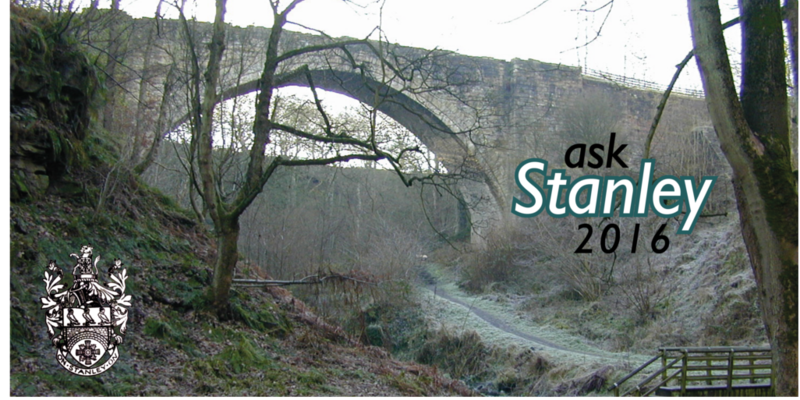 Today we are announcing the launch of ‘Ask Stanley 2016’, a comprehensive consultation exercise with Stanley Residents. We want to know what you like about your area, what you don’t, and what you think should be done to improve both the good and bad things. We have put together a short questionnaire and will be trying to get as many people as possible to participate over the next six weeks. 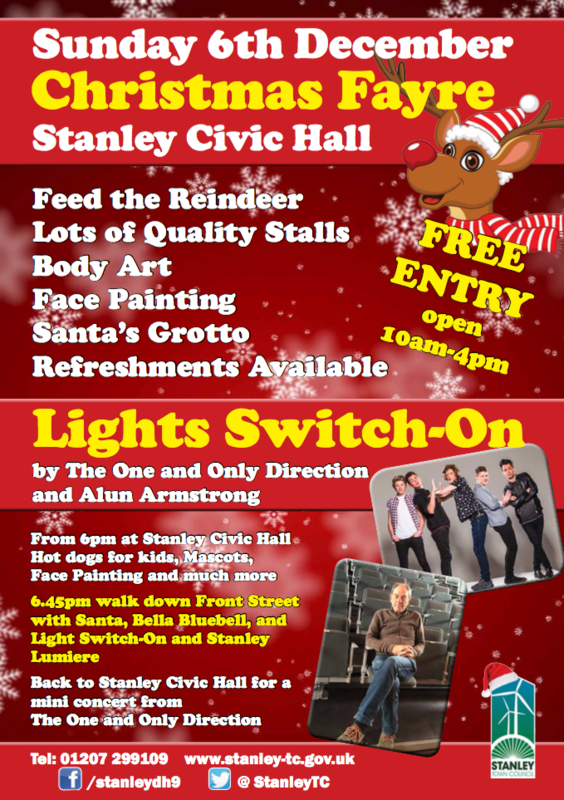 The more people take part and the more feedback we get, the better chance we have of identifying the real priorities of Stanley people. We will use the results to identify issues and options for a more detailed questionnaire to be sent out later in the year and we will use all this evidence to build an action plan for the next five years. We will also be speaking to the schools because we want to capture the views of our young people – every person currently aged 13 or over will reach the age of majority during the lifetime of this plan so we need their opinions – any positive changes we can make will have the greatest impact on them. Please take the time to complete the questionnaire. Your views are important to us. 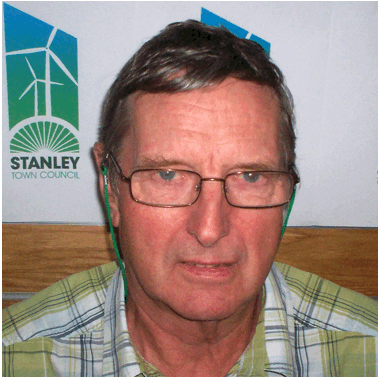 The Town Council has just learned that former Councillor Roy Mellor, who was one of the founder members of Stanley Town Council, has passed away. He was 77. Roy was born in Buxton in Derbyshire, and moved with his wife Sue to Stanley after retirement so that he could be closer to daughter Jane. 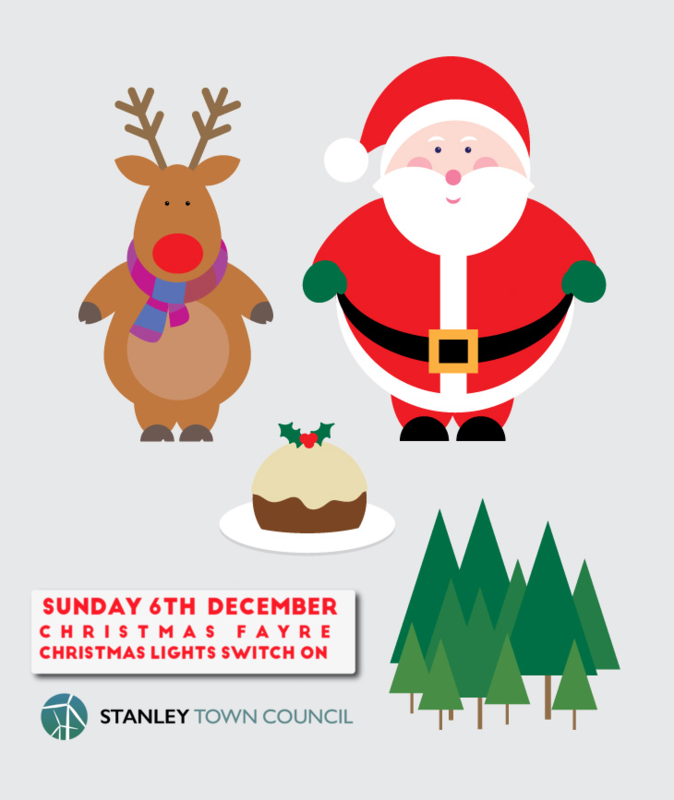 Both Roy and Sue became involved in the local community and local politics and Roy was amongst those who campaigned to create the Town Council. Roy was involved with the St Stephens Centre and was a lifelong Rotarian. Colleagues remember a true gentleman with a brilliant sense of humour who was loved by his family and friends. The Town Council would like to send our condolences to his family. The Post Office are consulting on their proposal to relocate Craghead Post Office from it’s current location at the Village Hall to Craghead Off Licence & Foodstore at Standerton Terrace. The details of the proposal are contained in a letter they have sent to the Town Council, a copy of which can be viewed HERE. If you have comments to make about the consultation, you can complete an online questionnaire HERE. When entering the site you will be required to enter a branch code for Craghead which is 36232999. The Town Council will be launching a comprehensive consultation with residents of the Parish in the New Year. We want to build a plan for the next 5 years that focuses on delivering things that people who live in the Parish think are important, so we will be asking every resident aged 13 or over to tell us what is important to them in their part of the Parish and what they would like us to try and do about it. We want to reach as many people as we can, so we will be sending a newsletter to every home in the area, holding public meetings at Village Halls and Community Centres, engaging with secondary schools and even visiting people at home to capture their views about Stanley and what we should do to make it a better place to live, work and visit. 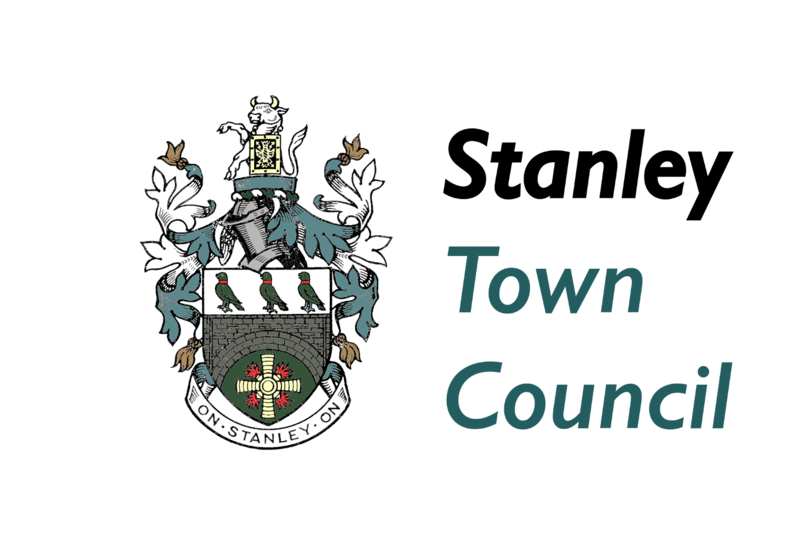 The Council is also looking to develop a neighbourhood plan for the Parish, so we will be asking what sort of development you think Stanley needs to be encourage growth and be sustainable in the future. 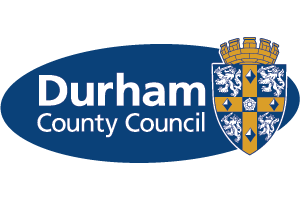 We will also share the results with partners like Durham County Council so that all the people providing services in Stanley know what your views and aspirations are. Please subscribe to our website or like our Facebook page to keep updated.